With my Argentina trip right around the corner, I decided to invest in a particularly wild piece for fall. 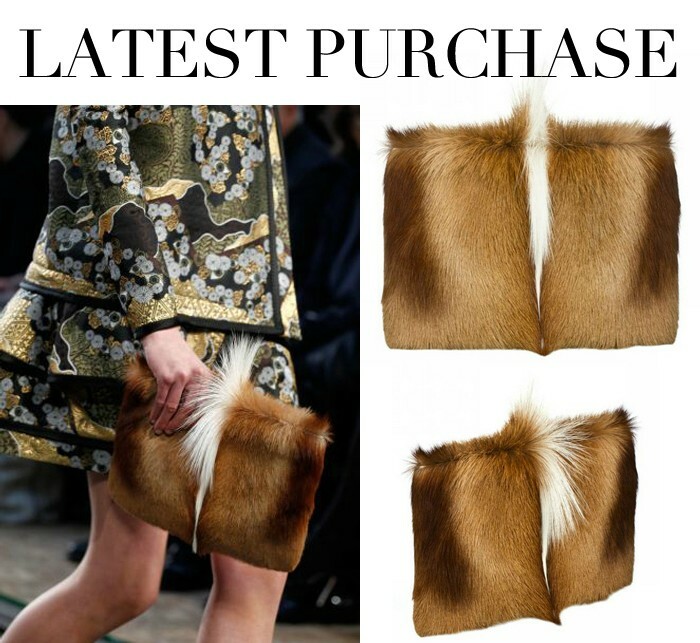 I know not everyone likes real fur, but I had to share because this Proenza Schouler clutch is just too good. It’s such a great statement piece and seeing as I’m a Texas girl at heart (and enjoy the occasional hunting trip), I had to take the plunge. Unfortunately it sold out almost immediately following my purchase – BUT, there is a black version available here. Get it before it’s gone! That purse is so chic, no wonder it’s already sold out! I’m not anti-fur, but I have a feeling I would get a little weirded out carrying it around. It still looks very alive.